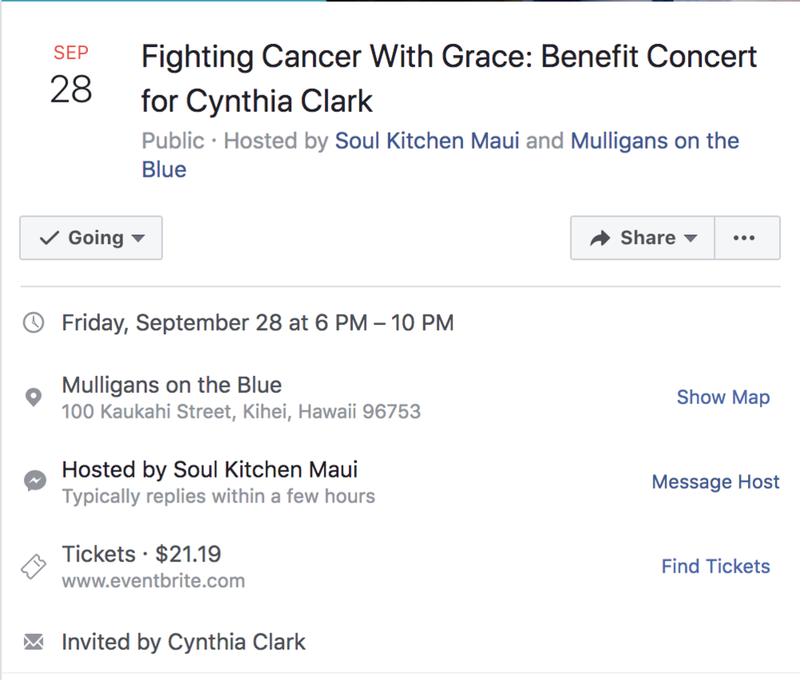 Cynthia is still fighting her courageous and graceful journey with cancer. You can read the long version of her most recent gofundme here. But in short, she is still fighting. She still goes out and spreads her light in the world. She traveled across the country to say goodbye to her closest friends. She has been granted a few months worth of a very expensive non insurance covered treatment that others with ovarian cancer have seen positive results with. September 28th her friends are hosting a birthday celebration/fundraiser for her these upcoming costs. Auctions, musicians, celebrating of life and love is in store! You are invited! Puka necklace to be auctioned off. Cynthia turned __? and we celebrated her life at Cafe O Lei restaurant in Kihei! She is done with chemo and feeling good. Looking as on fire as ever in her jumper and pukas! The first puka drive was so successful!! Thank you to everyone who passed a puka on for Cynthia. She absolutely loved her necklace and puka hoops. On her toughest days of chemo, she can breathe the mana in from her necklace to give her strength.